Electric vehicles are all rage now and continue to draw attention alongside getting more drivers to buy them. Electric cars offer the convenience of less cost on maintenance, no petrol stops and contributing positively to the environment. A brand that has most drivers pining to own one of its luxurious models is the Tesla. Tesla is as sleek as electric cars can come. It is often referred to as a leader in electric car technology. The cars were named after the inventor of their induction motor and alternating-current power transmission, Nikola Tesla. Tesla was conceived and first built in California. People love that these cars have the performance to match serious sports cars. They have produced several models with the recent models showing attractive improvements. The cars are not made for heavy lifting but an enjoyable ride each time on smooth clean roads. The current models on the market are Model S, Model X, and Model 3. Their prices range from between $42,900 – $137,000. The price for this model ranges from $85,000 – $132,000 depending on the variation. Tesla’s Model S is one of the best electric cars on the market in 2019. The model has 4 variations, and each differs based on the electric charge the car holds, how far it can travel, and its speed. Thus we have the Model S, Model S Extended Range, Model S Performance, and Model S Performance w/Ludicrous Mode. Model S is a well-known sports car with the capacity to outrun many other similar products. The selling price for each is stated below. Model X Tesla is a mind-blowing vehicle. It can sit seven people and is advertised as an electric SUV. This model is the fastest sports utility vehicle in the entire automobile industry and is a valuable investment. It is popularly known as the Tesla Crossover. Its market starting price is $88,800 and like the Model S, it comes in 4 variations. These are Model X, Model X Extended Range, Model X Performance, and Model X Performance w/Ludicrous Mode. Tesla’s newest vehicle release is the outstanding Model 3. As expected, the vehicle comes with attractive features for owners. The most significant fact about the Tesla Model 3 is the economic nature of the product. Tesla Model 3 is Tesla’s way of reaching another class of customers. Its starting price is $35,000 but actual costs are around $42,900. The Tesla line seems like a splurge to most but where comfort, convenience, and speed is concerned, these models become worth it. Model 3 is a safe choice for someone who can’t spare a larger budget. 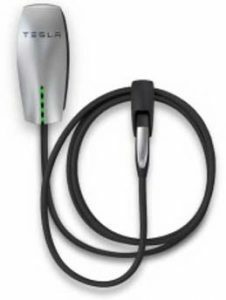 If you just recently bought a Tesla and are looking to get an expert installation for your charger, please visit our form to receive an email quote! This entry was posted in Electric Vehicle Articles. Bookmark the permalink. ← Should I Buy a Tesla?